Siri Hustvedt writes in a new book about living with her unexplained violent seizures. (CNN) -- Four years ago, novelist Siri Hustvedt stood at a memorial for her father and began to speak. And shake. Her arms flailed and legs buckled. She had no idea what was happening, but her mind was clear and she could talk clearly, unheard of during typical seizures. It wasn't epilepsy; doctors pricked and prodded her but couldn't find a diagnosis. Her seizures continued, without any predictable cue. She writes in her new memoir, "The Shaking Woman: Or a History of My Nerves," "I could float in the limbo of an unknown affliction." "To study something, it's got to be socially acknowledged. It must have a name first. But there was no name for this," Hustvedt told CNN. "But I thought I could understand something." She had a head start with her research on the brain, an interest that began when she was a child and began suffering migraines and their occasional offspring -- aura hallucinations, brief fantasies that can be flashes of light, zigzagging patterns, blind spots. Hustvedt's early "sparklers" also once came with a small pink man and a pink ox. In high school, she read anything she could find on psychoanalysis. She experimented with mysticism and transcendental meditation in college. In her 30s, her arms and legs tingled, a symptom she has never been able to link to a diagnosable disorder. Incidentally, her fiction and poetry (including an international bestseller) were infused with psychological themes inspired, in part, by her participation in a chat group of scientists studying neuropsychoanalysis. That science blends psychiatry and neuroscience, supposing, for instance, that patients with brain injuries produce false memories because it's their bodies' involuntary, natural way of healing, and that hormones can cause memory suppression. Hustvedt's husband, acclaimed writer Paul Auster, whom she lives with in New York, has described her as an "obsessive" reader. She loves to research and dig, and "The Shaking Woman" is heavy with encyclopedic facts and anecdotes about psychology and brain science. • Hysteria, a disorder associated with screaming women until the mid-20th century, was first believed to be caused by vapors rising from the uterus. • When one learns a language, the brain begins to understand sequence -- that a story has a beginning, middle and end. • A 13-year-old boy with a brain tumor, whose case was documented in a 1994 paper in the journal Brain, proved that memory can exist solely in a mind-hand motor connection called "automatic writing." Neil could recall things only when he drew them (he could not answer questions or talk about memories) and as soon as he drew them, he could not recognize what he drew. 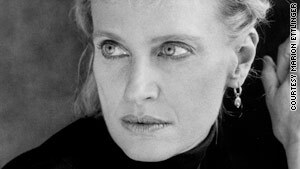 In every anecdote, study and historical bite, Hustvedt searches for clues to her own illness. She writes, "Shaking looks like a fear response. ... He was 'trembling with fear' is a cliché," noting that when a dog hears thunder, it shakes. "Having to speak in public has become my tone or clap of thunder," she writes, during which, Hustvedt suspects, she is not consciously aware of fear but her subconscious is indeed fearful. By this time in her wandering, she had taken Thorazine -- once --and lorazepam. Now she takes propranolol, a beta blocker, to keep her shaking at bay. Hustvedt considered that the shaking might have been triggered by a memory related to her father, a lauded writer and professor of Norwegian studies. She wondered whether her shaking was her fear of death itself. Neither was true, she concluded. Another mystery: Once, hiking a mountain, she felt tired and went into convulsion. It quieted down before her husband or their accompanying friend could witness it. Shortly after the hike, she had her nerves retested. The doctor told her, "It could get better; it could get worse; it could stay the same." She laughed. Hustvedt told a story to CNN about giving a talk at a literary festival in Key West, Florida. As she spoke, she began to seize violently. "I said [to the audience], 'Listen, I'm going to address the shaking so if you just hang on, bear with me, I will explain about this and I think it will go away,'" she recalled. She kept giving her speech as her body jerked and buckled. It subsided. "Humor is good, too," she said. "You need that." There is no answer at the end of Hustvedt's book. On most days, she wakes up with migraines and "clouds in the head." She spent time hooked up to a biofeedback machine which registered the vacillations of her nervous system. Now she doesn't need the machine but meditates, more in tune with her nervous system, able to calm herself through concentrated thought. Comfort doesn't always come with diagnosis, she said. "It's about ownership," she explained. "The moment that I stopped saying to myself, 'I will find a cure, I will go from doctor to doctor until I find someone to help,' [did I understand that] this is how your nervous system works. "This is the economy of [my] personality and I have to do the best I can do with it."